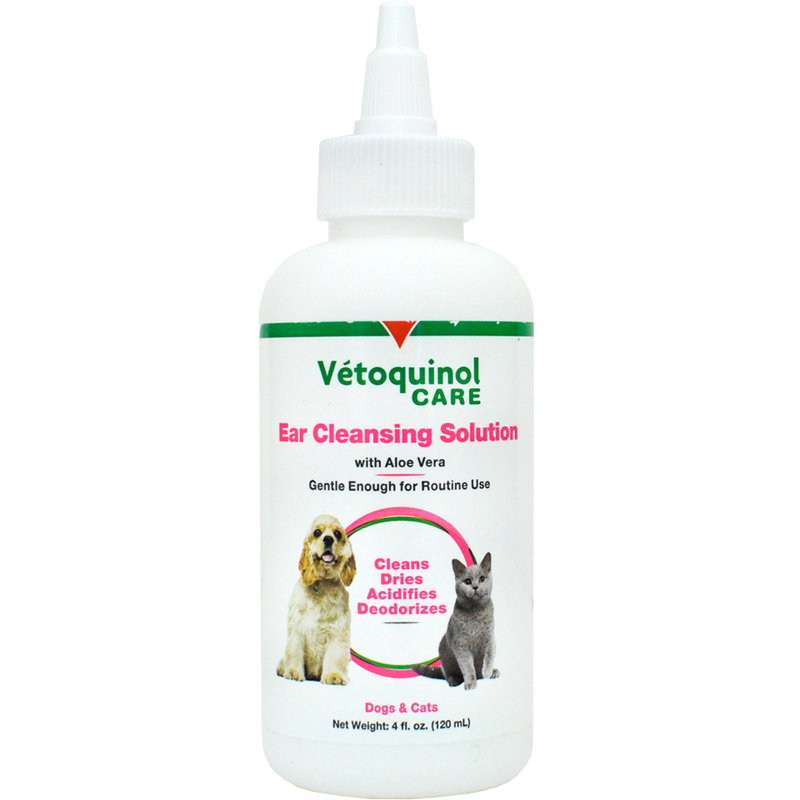 Vet Solutions Ear Cleansing Solution is a gentle ear cleaner and deodorizing solution for dogs and cats. This ear cleanser removes wax, dirt, and debris from the ear canal and can help prevent ear infections. Cleaning the ears, inside and out, should be a regular part of your pet's grooming routine. 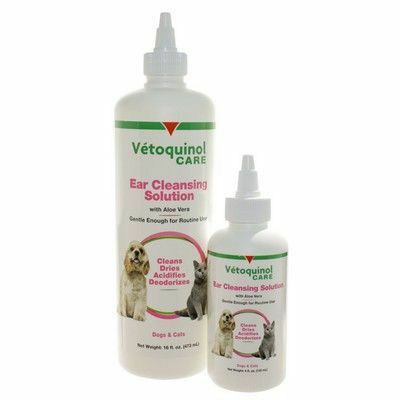 Vet Solutions Ear Cleansing Solution is safe and gentle but very effective as it cleans, dries, deodorizes, acidifies to kill bacteria and moisturizes with aloe. Apply liberally into the ear canal. Massage the base of the ear. Allow pet to shake head. Clean excess with a cotton ball. In excessively dirty ears; apply 2-3 times daily over several days. For maintenance of healthy ears; use 1-2 times weekly or as often as recommended by your veterinarian. Always apply after swimming.